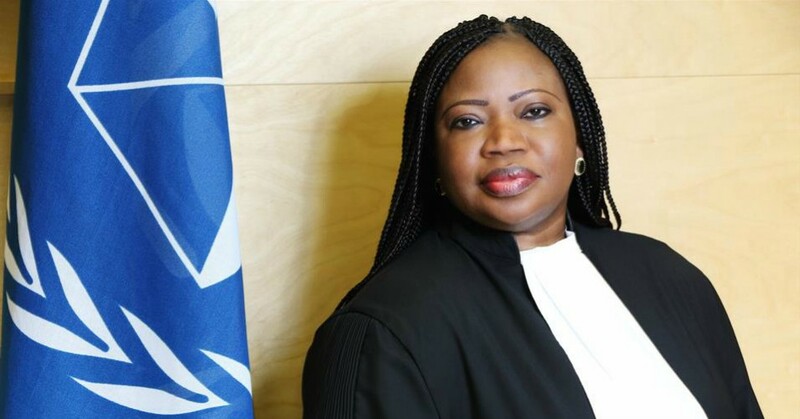 In a move human rights defenders decried as “shameful,” the Trump administration revoked the visa of the International Criminal Court’s chief prosecutor this week for trying to investigate alleged war crimes committed by American forces in Afghanistan. This entry was posted in Civil Rights, Corruption, Government, Human Rights, International Agreements, Military, National Security vs Police State, War, War Crimes and tagged Afghanistan, Atrocities, Barack Obama, Center for Constitutional Rights, Civil Rights, Corruption, Fatou Bensouda, George H.W. Bush, Human rights, Human Rights Watch, International Agreements, International Criminal Court, John Bolton, Mike Pompeo, United Nations, War, War Crimes on April 7, 2019 by MNgranny. Tens of thousands of Palestinians gathered near the Israel-Gaza border fence on Saturday to mark the one-year anniversary of the weekly “Great March of Return” demonstrations and demand an end to Israel’s brutal occupation. This entry was posted in Civil Rights, Corruption, Demonstrations & Protests, Government, Human Rights, International Agreements, Military, National Security vs Police State, Refugee Issues, Religion, War Crimes and tagged #GreatReturnMarch, Adham Amaara, Atrocities, Civil Rights, Corruption, Equality, Gaza, Great March of Return, Human rights, International Agreements, Israel, Land Day, Military, Palestine, Police State, Protests, religion, Security, social justice, United Nations, War Crimes on March 31, 2019 by ew. According to the Cambridge Dictionary, a concentration camp is defined as “a place where large numbers of people are kept as prisoners in extremely bad conditions, especially for political reasons.” It is undeniable that the Rukban camp fits this definition to the letter. 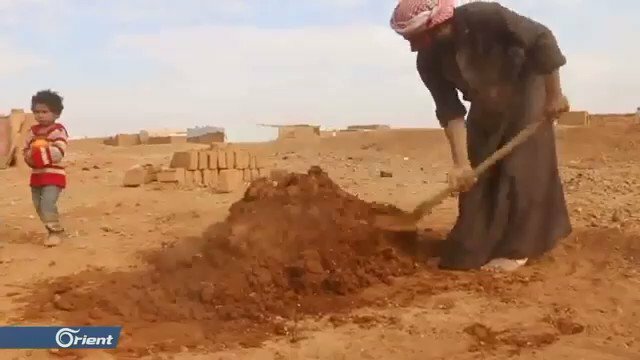 The United States military has rejected offers to resolve the growing humanitarian crisis in the Rukban refugee camp in Syria, which sits inside a 55 km zone occupied by the U.S. along the Syria-Jordan border. The U.S. has also refused to let any of the estimated 40,000 refugees — the majority of which are women and children — leave the camp voluntarily, even though children are dying in droves from lack of food, adequate shelter and medical care. The U.S. has also not provided humanitarian aid to the camp even though a U.S. military base is located just 20 km (12.4 miles) away. This entry was posted in Civil Rights, Corruption, Government, Health Care, Human Rights, International Agreements, Media Issues, Military, Refugee Issues, Religion, Social Justice, Terrorism, War, War Crimes and tagged al-Tarif, Atrocities, Civil Rights, Corruption, Daesh, food, Health Care, Human rights, humanitarian aid, International Agreements, Iraq. 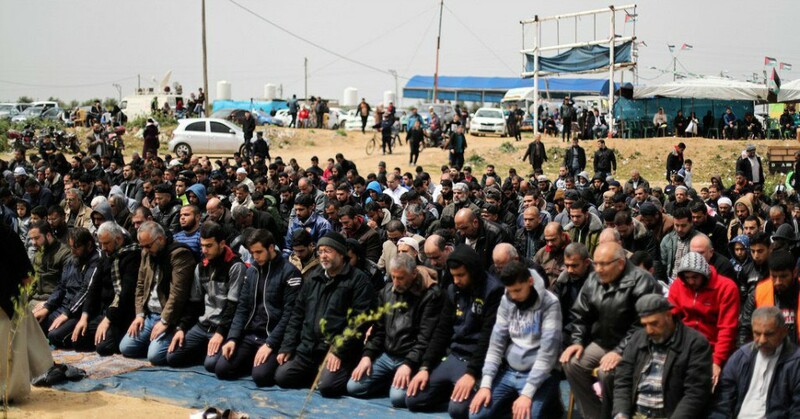 Jordan, Islamic State, Military, refugee camp, refugees, religion, Rukbah, Russia, social justice, Syria, Syrian Arab Red Crescent, Syrian Observatory for Human Rights, terrorism, Turkey, United Nations, US military aid, War, War Crimes on March 29, 2019 by ew. Local residents and analysts alike fear the Saudi-led Coalition is using the relative calm derived from the new agreement as cover to fulfill its military objectives and not as a stepping stone towards peace. HODEIDA, YEMEN — Hundreds of residents from across Yemen’s Red Sea port city of Hodeida took to the streets for the third straight day, calling on the United Nations to take action to implement a troop withdrawal deal between the Houthis and the Saudi-led Coalition that was reached on February 19th. Residents waved Yemeni flags, Kalashnikovs, and banners emblazoned with slogans accusing Saudi Arabia and its coalition allies of undermining the agreement and prolonging the suffering of Yemeni children. This entry was posted in Civil Rights, Economics, Government, Health Care, Human Rights, International Agreements, Military, Religion, War, War Crimes and tagged Atrocities, Civil Rights, Economics, Health Care, Hodeida, Houthi, Human rights, International Agreements, Ras Isa, religion, Saleef, Sanaa, Saudi Arabia, Stockholm Agreement, Taiz, United Arab Emirates, United Nations, War, War Crimes, Yemen on March 3, 2019 by ew. 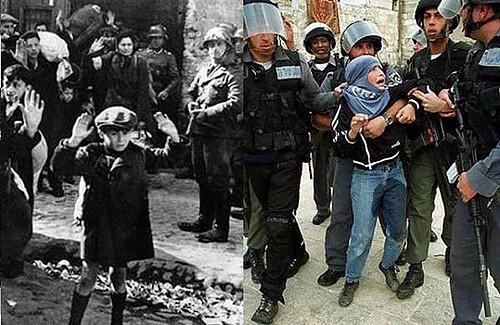 Human rights groups demanded accountability and justice for victims on Thursday after United Nations investigators said Israeli troops may have committed war crimes during anti-occupation protests in Gaza last year. This entry was posted in Civil Rights, Corruption, Demonstrations & Protests, Government, Human Rights, International Agreements, National Security vs Police State, Religion, Social Justice, War Crimes and tagged Amnesty International, Atrocities, Civil Rights, Corruption, Equality, Gaza Strip, Human rights, International Agreements, Israel, Palestine, Police State, Protests, religion, Security, social justice, United Nations, War Crimes on March 1, 2019 by MNgranny. 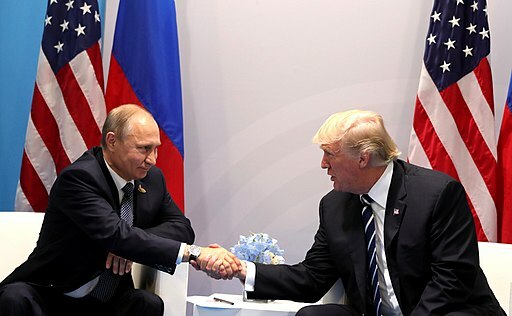 This entry was posted in Government, International Agreements, Military, Technology, War, World War III and tagged Crimea, Donald Trump, INF, Intermediate-range Nuclear Forces Treaty, International Agreements, John Bolton, Military, nuclear arms, nuclear war, nuclear weapons, Parliamentarians for Nuclear Non-proliferation and Disarmament, Russia, Security, Special Verification Commission, Syria, technology, United Nations, Vladimir Putin, War, World War III on January 31, 2019 by ew. 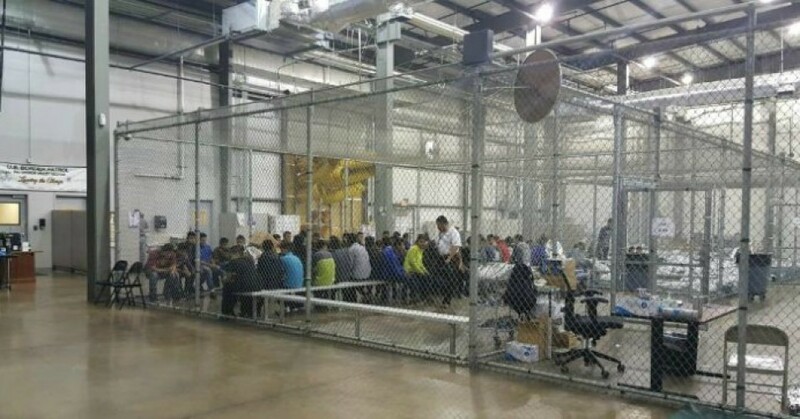 An eight-year-old Guatemalan boy died in the custody of U.S. Customs and Border Protection (CBP) shortly after midnight on Christmas Day, the second death of a migrant child detained by the agency this month alone. This entry was posted in Civil Rights, Corruption, Government, Health Care, Human Rights, Immigration, International Agreements, National Security vs Police State, Racism, Refugee Issues, Social Justice and tagged Atrocities, Climate Change, Corruption, Customs and Border Protection, Department of Homeland Security, Equality, Guatemala, Health Care, Human rights, immigration, International Agreements, Jakelin Ameí Caal, New Mexico, Racism, refugees, social justice, United Nations on December 26, 2018 by ew. 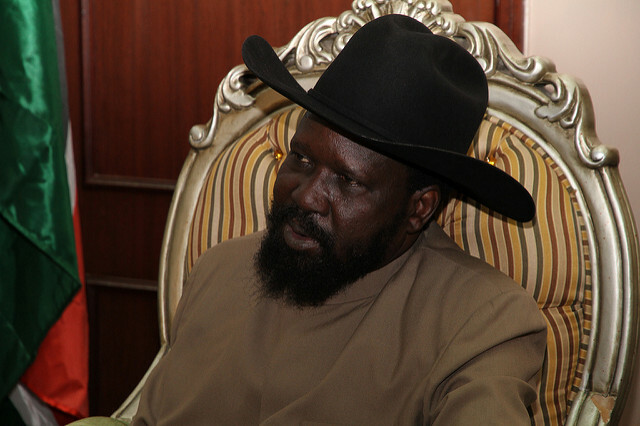 South Sudan faces several arms embargo. How has the government continued to get weapons? During the South Sudanese Civil War, which has claimed nearly 400,000 lives, the United States helped the main belligerent in the war continually acquire arms through Uganda, a close U.S. ally in the region. For years, the Ugandan government channeled arms, ammunition, and military aircraft to the regime of President Salva Kiir, according to multiple reports by Conflict Armament Research and the U.N. Panel of Experts on South Sudan. This entry was posted in Corruption, Economics, Government, Human Rights, International Agreements, Media Issues, Military, Refugee Issues, Technology, War and tagged Atrocities, Barack Obama, China, Conflict Armament Research, Corruption, Donald Trump, Human rights, International Agreements, media blackout, Military, military-industrial complex, Nikki Haley, refugees, Riek Machar, Russia, Salva Kiir, South Sudan, Uganda, United Nations, US military aid, War on December 14, 2018 by MNgranny. 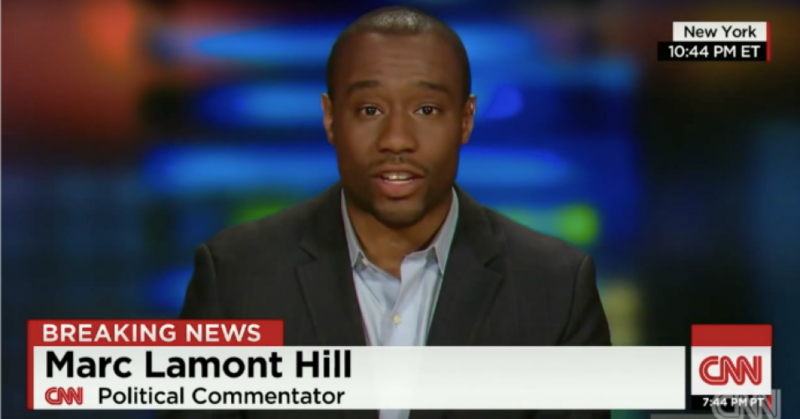 In a move decried by critics as blatant suppression of dissent and an attack on all who advocate for the rights and dignity of the Palestinian people, CNN on Thursday fired contributor Marc Lamont Hill for daring to denounce the oppression of Palestinians and endorse “a single secular democratic state for everyone” over the failed two-state solution to the Israel-Palestine conflict. This entry was posted in Civil Rights, Corruption, Demonstrations & Protests, Human Rights, International Agreements, Media Issues, Refugee Issues, Religion, Social Justice, War Crimes and tagged Censorship, Civil Rights, CNN, Committee on the Exercise of the Inalienable Rights of the Palestinian People, Corruption, First Amendment, Freedom of Press, Freedom of Speech, Gaza, Human rights, Israel, Jewish Voice for Peace, Marc Lamont Hill, Media Issues, Palestine, Protests, religion, social justice, United Nations, War Crimes on December 2, 2018 by MNgranny.